We’re one week away from the Toronto launch of Stories About Storytellers. It’s going to be a full house, so please don’t forget to RSVP! This entry was posted in News and tagged book launch, events, toronto. 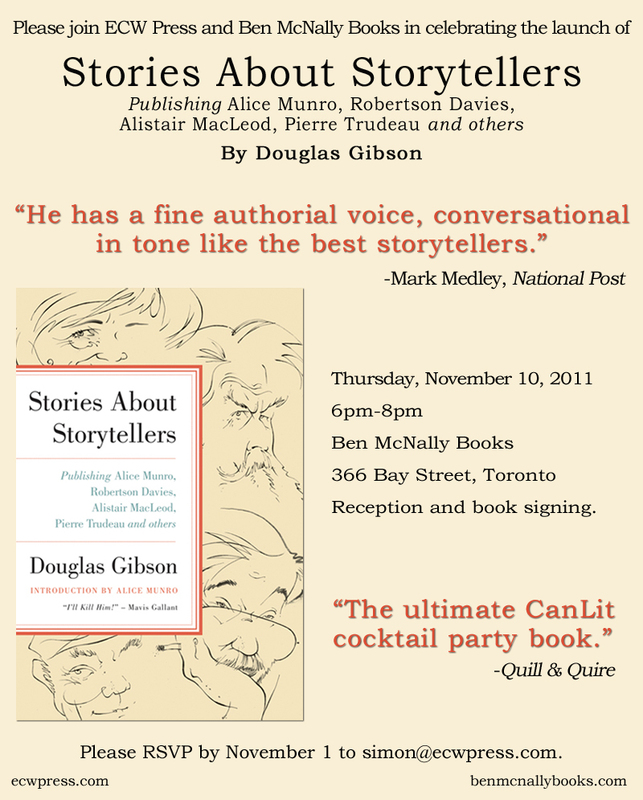 Can’t attend Ben McNally book launch so what is the next opportunity to hear Doug Gibson? You can find a full list of Doug’s events here: https://douglasgibsonbooks.com/the-show/upcoming-events/. It gets updated as new ones are added. Hope you can make it out to one of them!